A Mortal Body, an Eternal Hope. Ryan and his family have gone through some unique and unforeseen circumstances over the past 7 seven years. From being diagnosed with Hodgkin’s Lymphoma in 2007, to numerous treatments, therapies, and transplants, Ryan has never given up or lost faith. Ryan began noticing some health issues while performing as a lead vocalist with his Christian rock band Forerunner. After being encouraged by his wife Holly to get checked out, Ryan visited the doctor. The doctors found a grapefruit sized mass in Ryan’s throat. Ryan immediately began a 6-month chemotherapy and radiation stretch which caused significant nerve damage as well as other complications. Things had started to improve when Ryan went in for a routine checkup in 2008. It was at that time the doctors discovered another cancerous tumor in his neck. After another round of chemotherapy and a transplant, Ryan was battling through his second recovery. During the entire time Ryan continued to pursue his love of music and toured with his band. 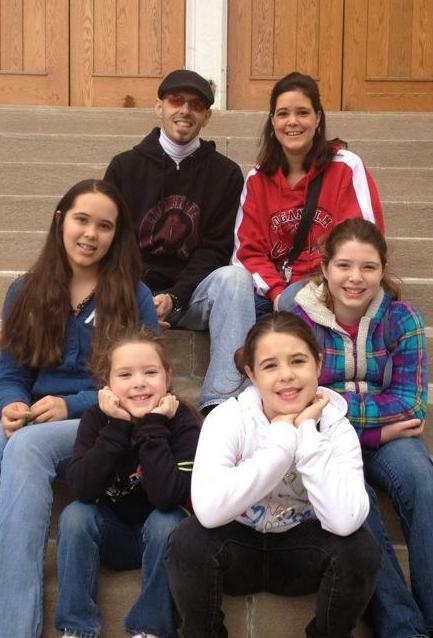 During the spring of 2012, Ryan and his family received their 3rd round of bad news. The cancer was back and was spreading more aggressively than before. Ryan began taking experimental treatments while continuing to tour with his band. After a few treatments and a few spirit-filled tour dates Ryan returned home to get a checkup. It was then when the doctors told Ryan and Holly that the cancer was GONE! While the doctors were shocked, Ryan and his wife knew that God had supernaturally healed him. Through all the prayers from loved ones, God had restored Ryan’s body!! Ryan continues to face health issues, but is gratefully cancer free. He is battling a condition called Graph vs. Host from his body rejecting Stem Cells during his treatments. While he recovers, he is hopeful that he can soon return to doing what he loves the most, performing his music. Holly has been unable to work as she still needs to take care of Ryan full-time. This financial burden has made it tough on not just Ryan and Holly, but on their 4 beautiful daughters as well. With both of their vehicles recently broken down, they are in desperate need of a working vehicle. With medical expenses piling up and neither Ryan or Holly being able to work, they need help. We are hoping that with your prayers and financial support, we can help Ryan, Holly and their girls buy the vehicle they desperately need while they focus on keeping Ryan healthy. Please join us as we raise funds to bless this family that has seen more than their fair share of hard times. Make a donation in care of Ryan. Totals are updated on the "Who are we helping" page.